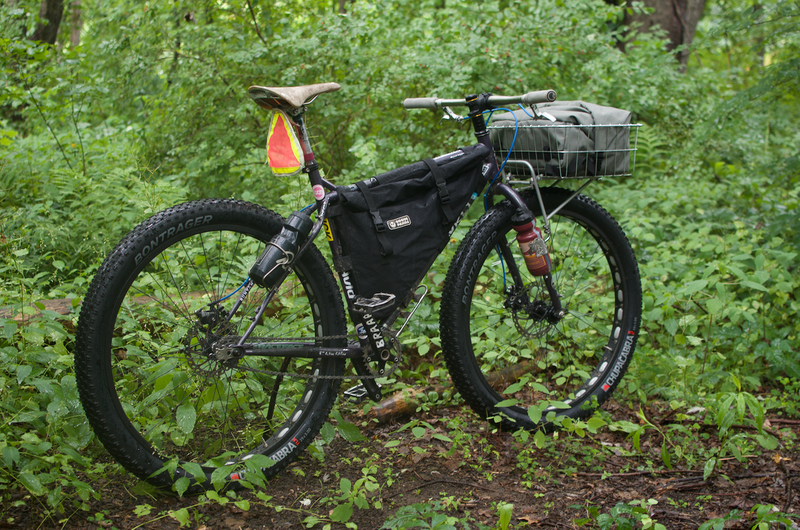 Ever since I saw Cass Gilbert’s Stagecoach 400 bikepacking setup, I was aching to try out basketpacking. It’s the “on-trend” fad in adventure cycling right now, and my guess is it’s not for the aesthetics. 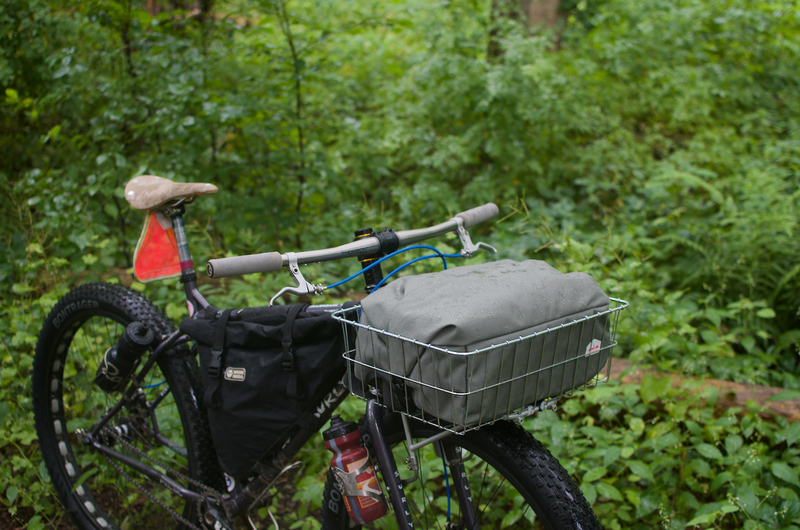 Wald baskets are durable, easily field-repairable, and so practical. Unfortunately, shelling out almost $200 for a basket bag was a hard pill to swallow, especially for the very economical $30 Wald. I didn’t want a lot of extra features (or weight), but I did want a perfectly sized bag. Lucky for me, André Costa at Troutmoose had the perfect setup, and it’s much more reasonably priced. 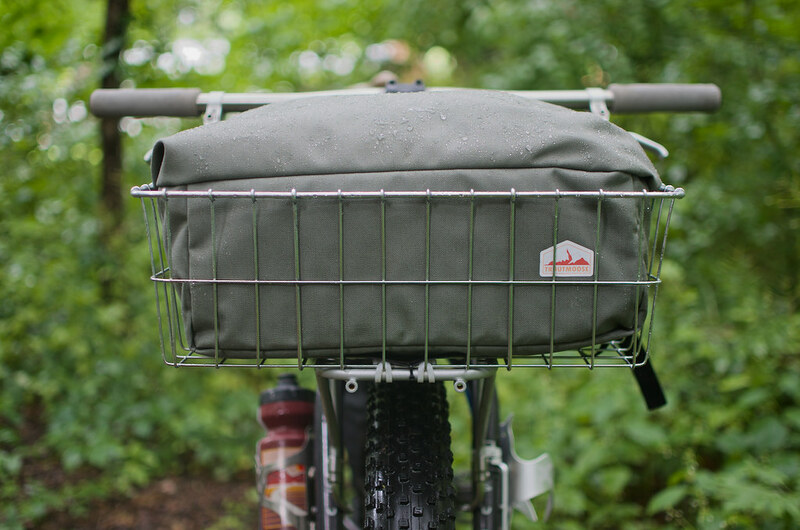 Troutmoose’s Rolltop Basket/Rack Bag is custom-made for a Wald 139, but the way he’s set up the attachment system means it’ll work great with a Surly 24-pack rack or just about any other porteur-style flat rack. There’s no extra features here; this bag is delightfully minimalist. Two buckles, some loops in the back for velcro, and nothing else. It’s made from a durable but not super-thick 1000-denier Cordura fabric with a 400 x 300 diamond ripstop lining to maintain the waterproofness of the Cordura. André also uses Gutermann thread, which makes the seams super strong and almost watertight. I’ve ridden through four or five storms with it (including today’s ride) and didn’t find any moisture inside. The roll-top stays shut no matter what I’m riding. Andre hired me as a bag tester and I think I might’ve failed him. I had almost no feedback for the design. It’s a bag that just works, and you can probably guess that from the photos. There’s nothing superfluous or complicated here, which keeps the weight down for expedition-style trips. It’s a super simple rolltop, sized perfectly, and made from durable materials right here in the USA. What more can you ask for? And best of all, it’s not pricy. You can pick one up for $89, half the price of a lot of your other options. Just don’t make the same mistake that I did — make sure you get it in deep purple. Disclaimer: André asked me to test out this bag before it was available for purchase, so my bag was provided for the review. What front rack are you using? Nice site. Thinking about making my pug into a Krampug. What stem are you running? Thanks! Currently running a 50mm Salsa stem. Thanks for the nice write-up. What do these bags look like inside? I understand they are not padded, but are they lined with something? ah, sorry – lined with ripstop lining- hopefully a light color? 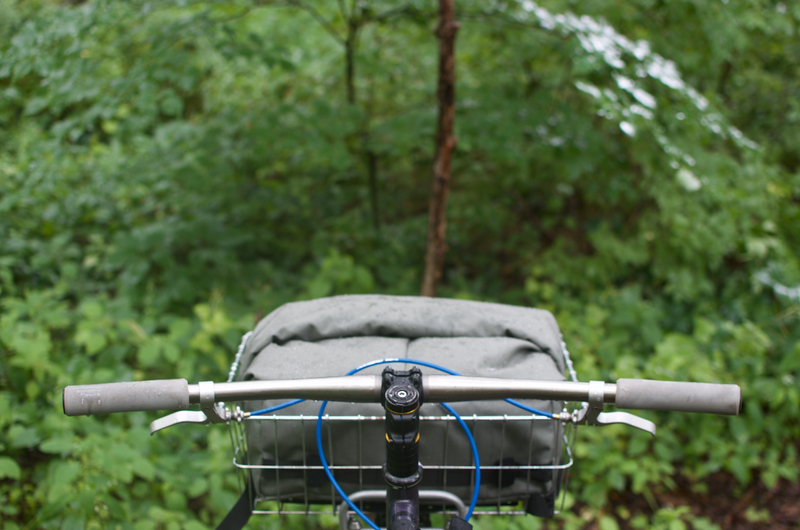 Do you think a Wald 139 would fit OK on an Old Man Mountain Phat Sherpa front rack? 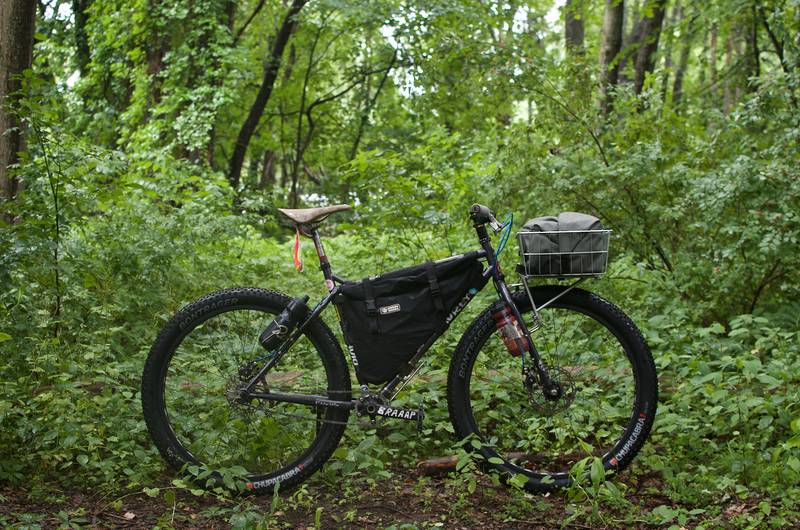 I have a pugs with an offset front fork, the the OMM seems to be one of the few options that doesn’t require intervention.